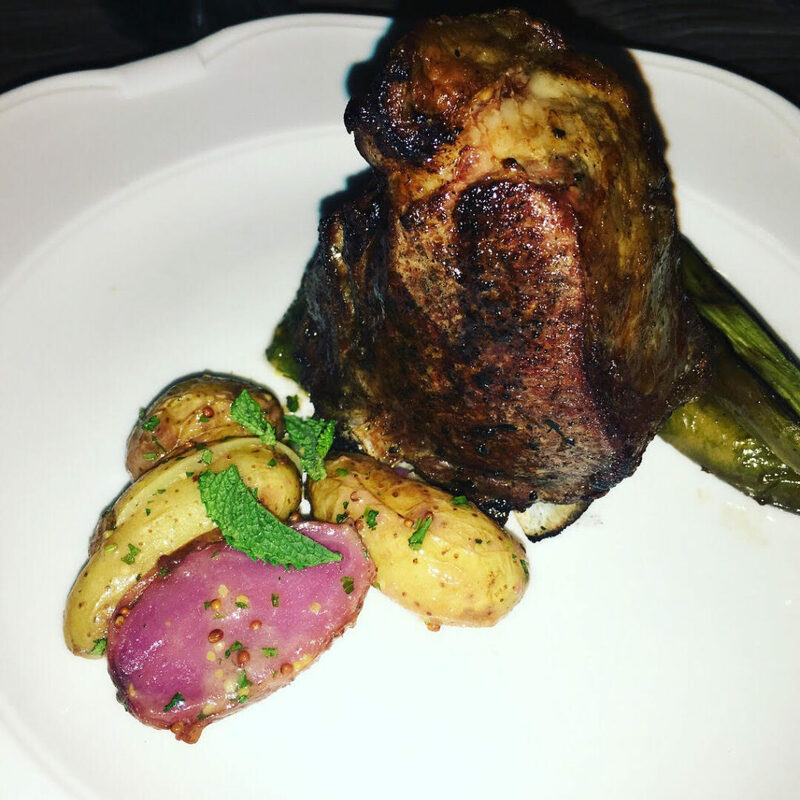 This Friday night we brought in the weekend with a flavorful bang at Farmhouse LA, check out what sets this restaurant apart. Nathan Peitso is Farmhouse LA’s executive farmer, and it shows. He brings his upbringing on a farm, home at Farmhouse. check out the seven course meal we partook in. Everything is farm to table, and the flavors explode in your mouth. The combinations are mouth watering, and we would’ve gladly tried a 2nd round, the food was just that good! 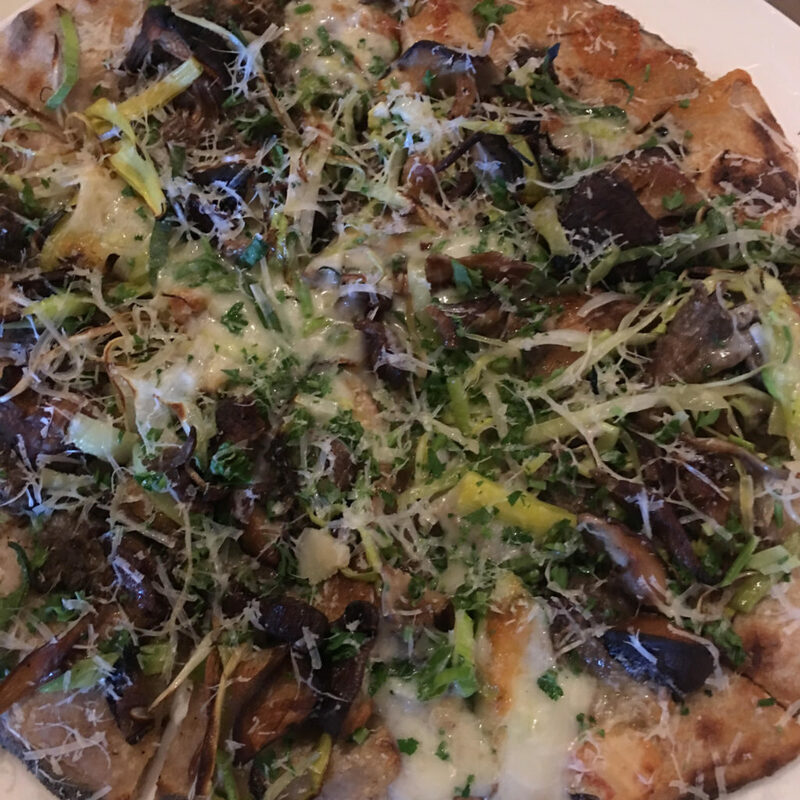 First up we partook in a decadent Mushroom and Leek Pizza. 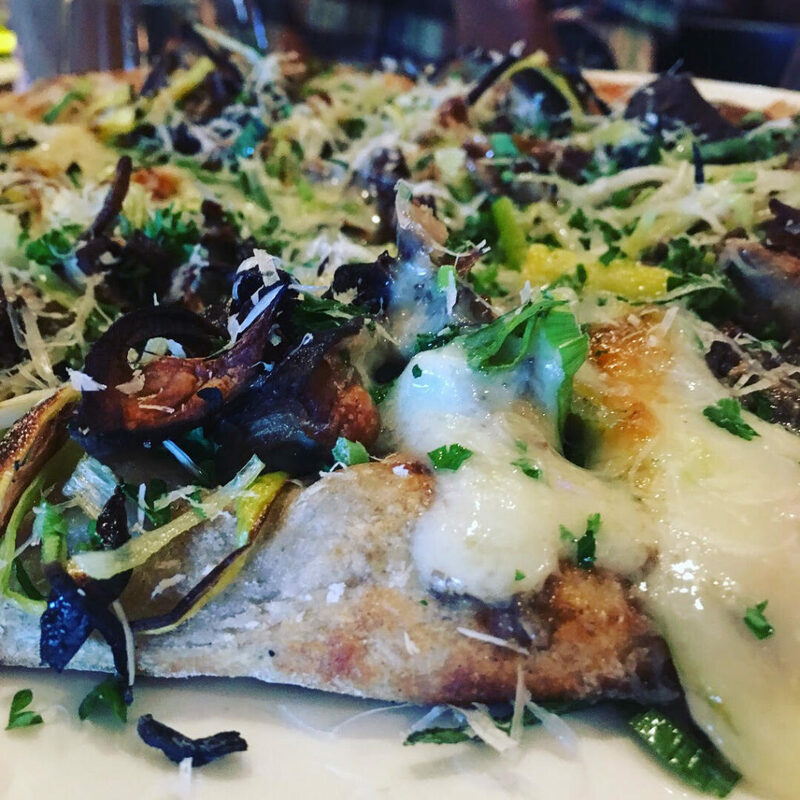 The ingredients consisted of: taleggio, braised leeks, and parmesan. The ingredients were sourced from Fat Uncle and Kenter Canyon Farms. 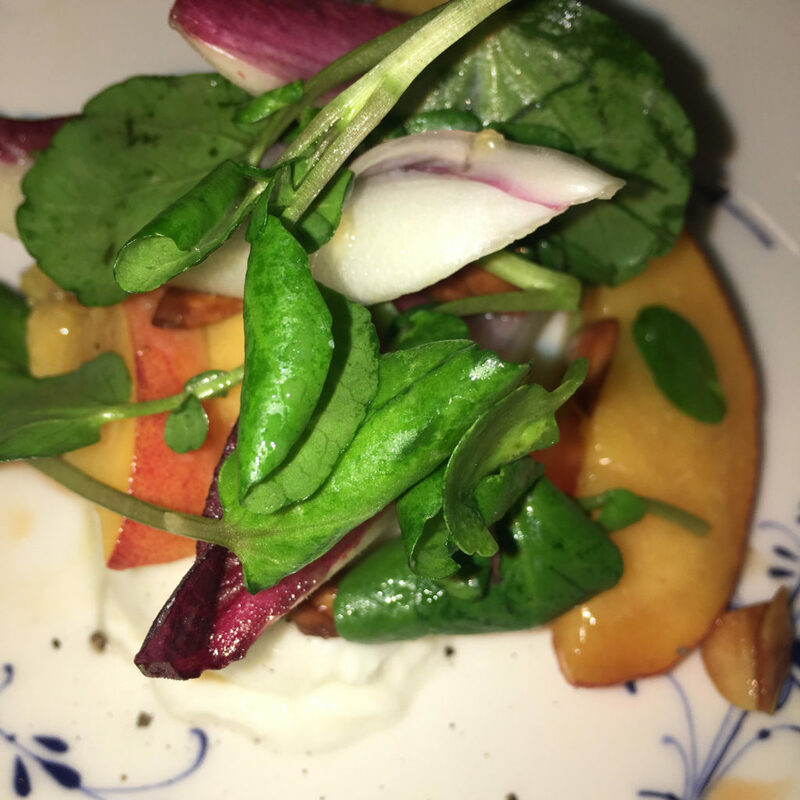 Second course consisted of a delightful Peach & Burrata appetizer. The peaches were juice burst in your mouth ripe. The burrata was locally sourced paired with endive, watercress, and pistachios. Valdivia and Kenter Farms originated these delicious ingredients, delivering the kind of farm to table quality you’ll never be able to dine without again. Third course featured Zucchini Soup. 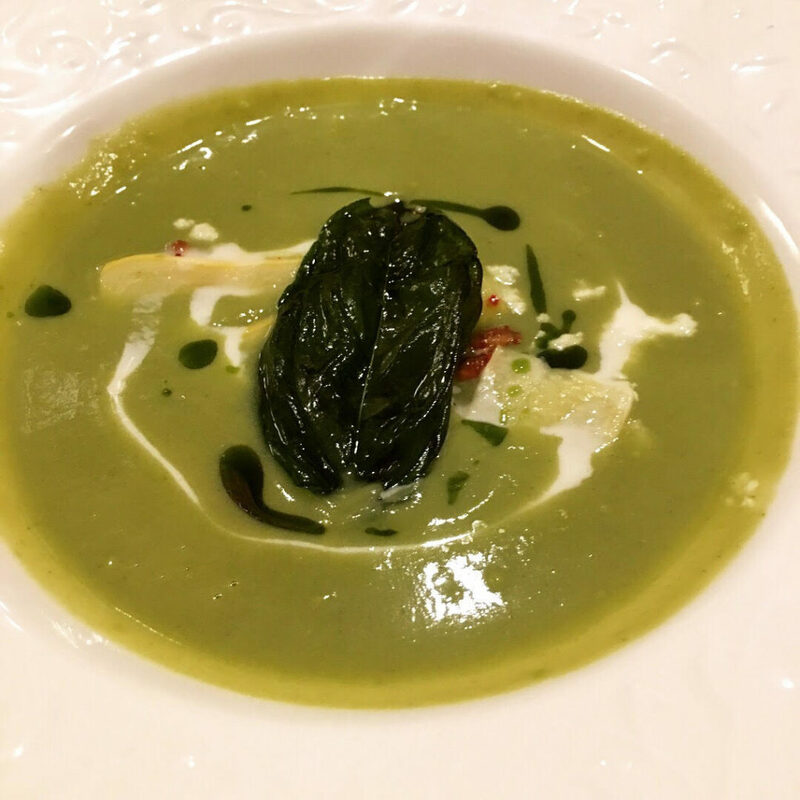 The zucchini was mixed with lemon, feta, basil, and pepitas, bringing fourth a warm and savory summer soup, you’ll be trying to bring to life in your own kitchen. Valdivia and Kenter Farms once again, deliver the flavorful ingredients. Fourth Course was Halibut. 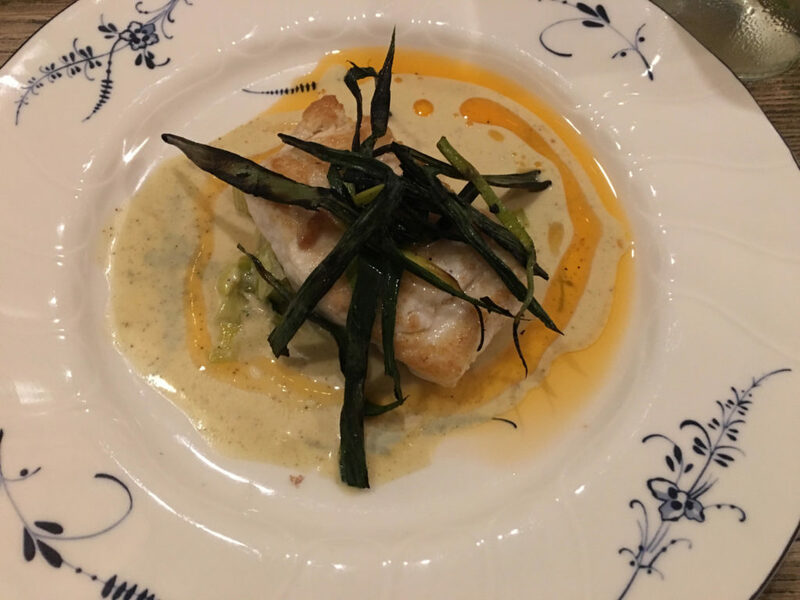 Sourced from Kong Thao Farms, Nathan had the Halibut roasted, served alongside charred & confit leeks, paired with a lemon vinaigrette. They served this alongside a Sauvignon Blanc, we’re not sure how we didn’t leave with a caseload of! 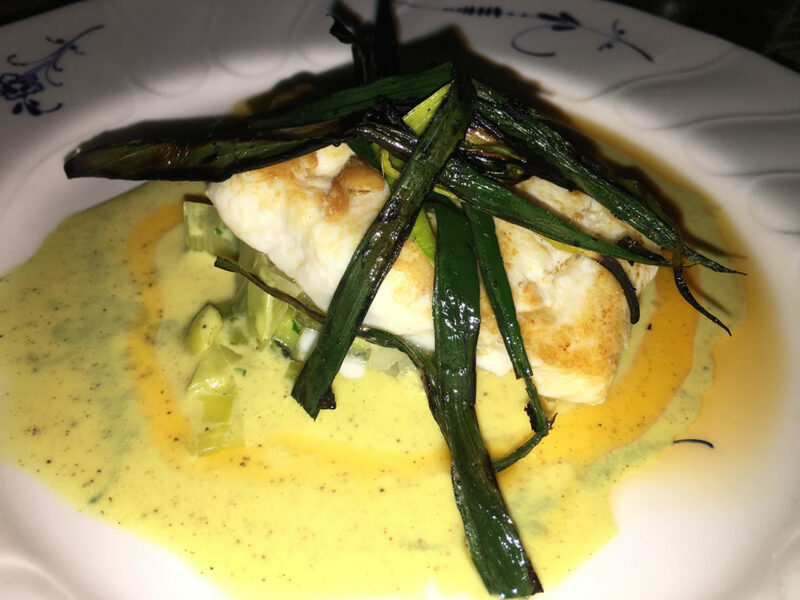 If you only get one thing, when you go to Farmhouse, we urge you to try the Halibut. Fifth Course was Lamb Porterhouse. Our wine switched to a lovely and light Pinot Noir. While the lamb was paired with new potatoes, eggplant, mint, and a parsley mustard chutney. 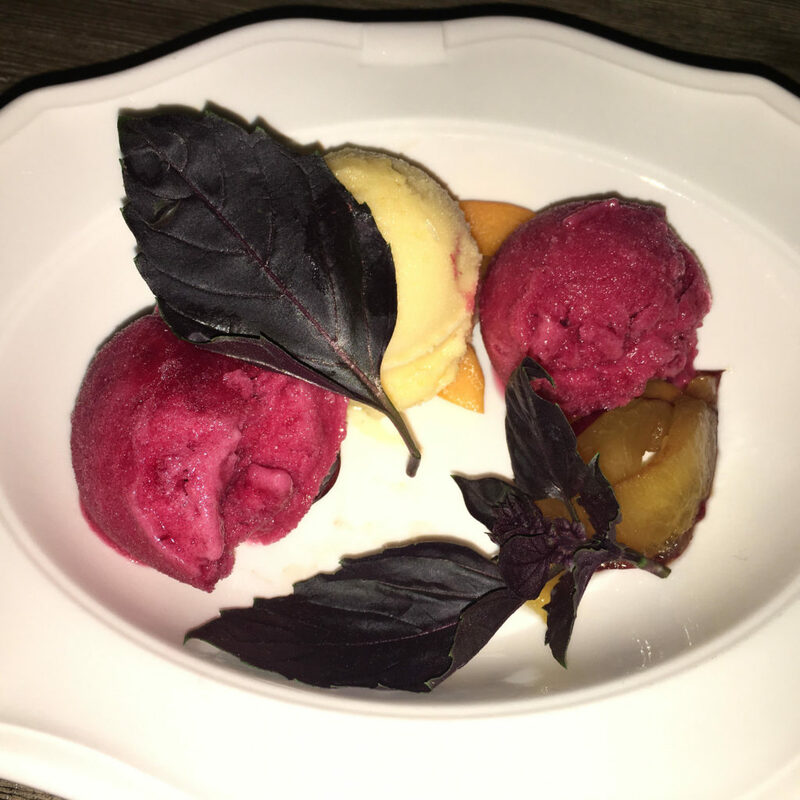 This delectable tableau of ingredients was sourced from Kenter, Kong Thao, and Weiser Farms. 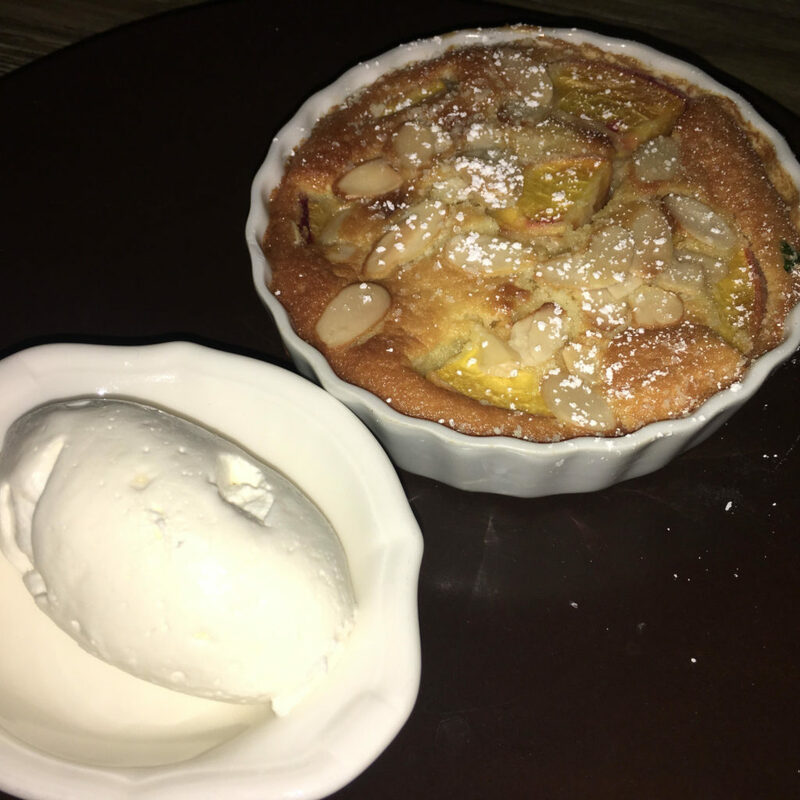 Finally our Sixth and Seventh Courses were a lovely dessert array of Sorbet and a Warm Peach Clafoutis. 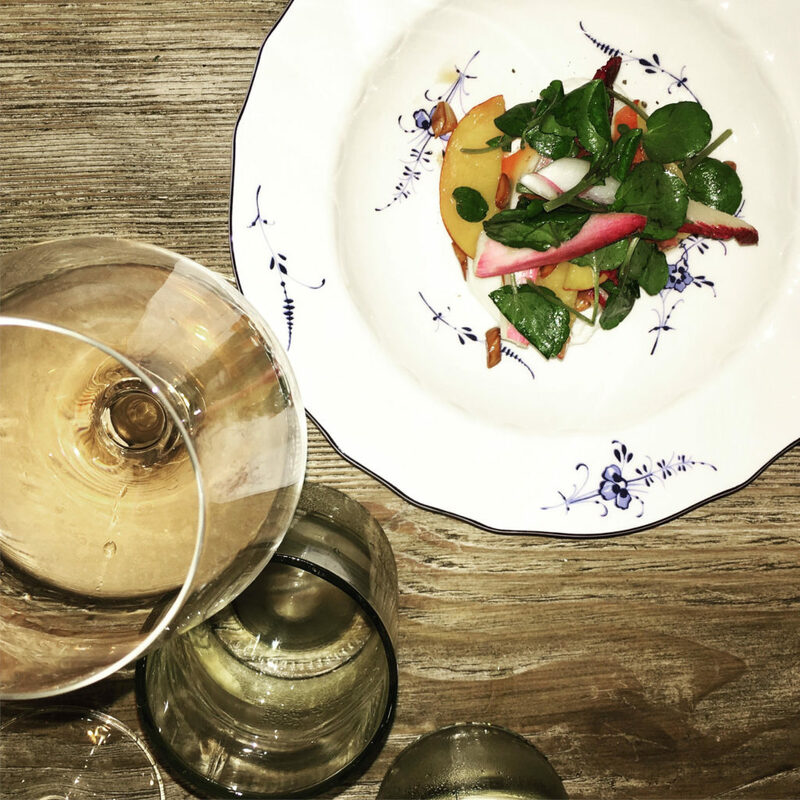 We love traversing Los Angeles, and discovering the best places to dine, and explore. 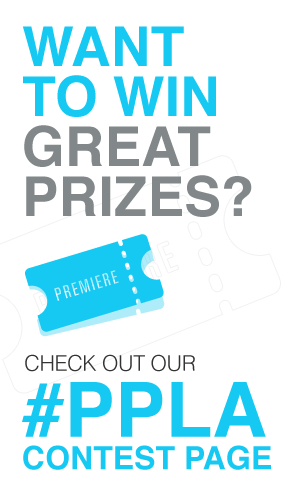 Let us know if you have any dining tips, or locales you’ve been loving or dying to try. Farmhouse LA is great for a romantic dinner, a night out with your friends, or even a wonderful locale for business. Let us know when you go, we’d love to see your food choices.